Pain, a swollen jaw and lymph nodes, reddened gums–these may be symptoms of an infected tooth. For correct treatment of an abscess with gentle and precise root canal therapy in Massapequa Park, consult Allan S. Mohr DDS Smile Creations. “Oh, my aching tooth!” It’s nothing to fool around with. Symptoms of pain, bad breath or a bad taste in the mouth, swollen lymph nodes or jaw, red gums–all may indicate an infected, or abscessed, tooth. Because of injury, excessive decay or a faulty restoration, bacteria invades the inner chambers of tooth roots, causing the pulp to become infected. The staff at Allan S. Mohr DDS Smile Creations in Massapequa Park urges patients with symptoms of an infected tooth to see if root canal therapy is warranted. When decay, deterioration of a filling or accident injures tooth enamel, oral bacteria often cause a tooth abcess. Antibiotic treatment may clear the infection, but often, Dr. Mohr performs root canal therapy to remove diseased soft tissue or pulp from the interior chambers of tooth roots. He confirms diagnosis with x-rays, a bite assessment and visual inspection. Most people cringe when they hear the term “root canal,” but really, the procedure has the wrong reputation. 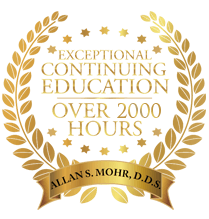 Modern and precise root canal therapy performed by a skilled dentist such as Dr. Mohr takes just 2 one-hour appointments and requires no more than local anesthesia. The result is a pain-free, healthy tooth restored with a natural-looking porcelain crown. Dr. Mohr drills a small hole in the tooth to access the inner chambers or canals. Using a series of tiny, file-like tools, he carefully removes the diseased pulp and debris from each canal. The adult tooth functions well without this blood supply and connective tissue because tooth pulp is most active during adolescence when teeth are maturing. After cleaning the canals and instilling some antimicrobial medication, Dr. Mohr fills and seals each chamber with an elastic substance called gutta-percha. He then places a temporary filling and sends a dental impression to a lab for manufacture of a life-like porcelain crown. At home, the patient takes ibuprofen or acetaminophen to control discomfort for a few days. The great news is that the toothache is gone. In fact, patients report that the minor pain from the procedure is nothing compared to the toothaches they had been experiencing. The patient then returns to Dr. Mohr for installation of the new crown. Dr. Mohr adjusts the restoration for bite and fit, and the root canal procedure is complete. 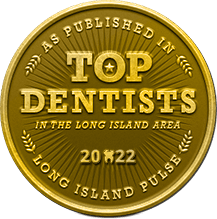 Root canal therapy is highly successful in Massapequa Park and across the country. A restored tooth, with proper dental hygiene and regular cleanings and check-ups, can last for years. 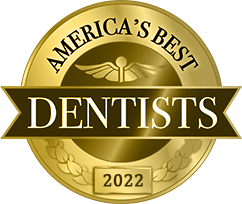 The American Society of Endodontists says that dentists save millions of teeth annually in the United States with root canal therapy and that preserving natural teeth is a priority. If you have a toothache, or think your tooth is deteriorating, don’t delay. 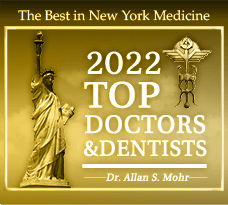 Contact Dr. Mohr’s team right away. They will get you into the office for an evaluation and comfortable treatment if necessary. by: allanmohr at June 27, 2017 .